Your finicky cat can't decide between carpet and sisal rope? This premium scratching post is carpeted on the top and bottom with approximately 7″ of tightly wrapped durable pure sisal rope in the middle. The base of this unique cat scratching post is fully carpeted. The extra wide 17″ square base is made of heavy-weight plywood for outstanding stability. No particle board or cardboard is used. Manufactured with cat-safe materials and Made in the USA. 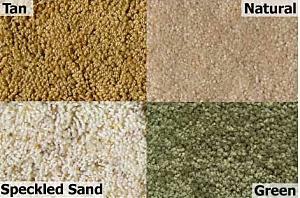 Select from four carpet colors and three heights: 20", 25″ and 30". Made in the USA. Shipping within 48 contiguous US states: $37 for the 20″ post, $44 for the 25″ and 30″ posts.